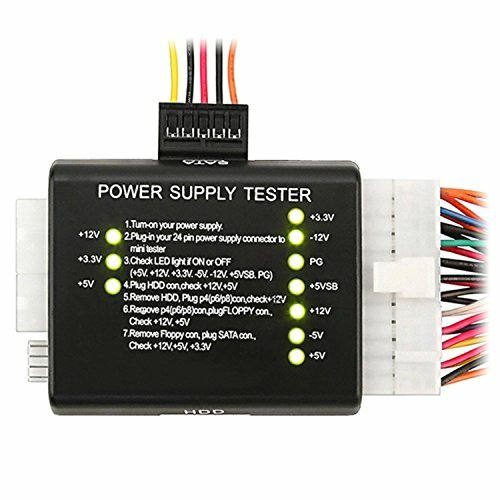 Prevent electrical disasters by testing your power supply regularly to identify problems before they damage your computer. Green LED display lights-up when your devices is running smoothly. Easy to use, plug-in design. Sturdy plastic. Tests PC 20/24-pin, PSU, ATX, SATA, HDD. If you have any questions about this product by eForCity, contact us by completing and submitting the form below. If you are looking for a specif part number, please include it with your message.